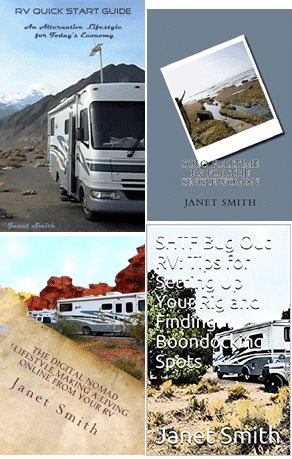 Often, when you are boondocking, or camping at a national or state park, you will not be able to find a radio station. Also, your mobile internet may be weak, and you won’t be able to get online to stream radio, or you may not want to “spend” your limited mobile data on streaming. Of course you can buy a satellite radio kit, and buy a monthly subscription to a satellite radio service. 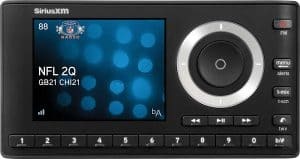 This Sirius radio, with vehicle kit, costs around $60, and comes with free 3 months of streaming and satellite service, but you may not want to spend that money, or add one more monthly bill to your budget. But there is another way, similar to downloading a podcast, that will not cost you anything, as long as you have unlimited talk minutes on you phone. And no smartphone needed, you can even use your old fashioned flip phone! Many syndicated talk radio shows have “listen lines”, phone numbers you can call, and listen to either a live show, or an archived show. These are available 24 hours a day, and can be used as long as you can get a 1x signal on your cell phone. The shows generally loop, so you may come in during the middle, but it will loop back to the beginning. As long as you have unlimited minutes and a cell signal, you may be able to listen to some of your favorite shows, no matter where you are! Below is a list of a few Listen Lines. Also do your own research, for your own favorite shows. GCN Network : GCN has more than 85 different shows you can listen to on the phone. The shows range from alternative health topics, organic gardening and prepping, the paranormal and politics. This link will take you to a page with all the GCN shows, and their listen line phone numbers. The Alex Jones Show: The most banned person on the internet! Alex Jones is a unique voice that sifts through the information and exposes the underlying intentions of Globalism and the New World Order. This is the Infowars GCN Listen Line: 605-562-4029. Ground Zero with Clyde Lewis: Ground Zero with Clyde Lewis is a paranormal show, which also covers current events. It’s similar to Coast to Coast, but edgier, more like the old Art Bell days. The listen lines are 605-781-1298 or 712-770-9701. This link will take you to all the listening options. Sometimes the Ground Zero listen line hits a spot where it goes “broken record” during the news or a PSA. If that happens, hang up and call back. Fade to Black with Jimmy Church: This is a paranormal radio show. Jimmy Church often fills in for George Noory on Coast to Coast. The Listen line number is (605) 562-4482. The Power Hour: Discussing current events, medical and naturopathic solutions, with the best experts on radio. Call (701) 300-5252. Podcast by Phone: (641) 793-9840. **Press the 6 key fast forward the show and the 4 key to rewind. The Liberty Radio Network: The Liberty Radio Network features conserative and libertarian talk shows. Click here for their shows. Their listen line number is 712-770-8447, and the backup live-stream-only line is 712-775-8114. Audio Now: Audio Now has international radio programming, from all over the world. Learn more here about their programming. Three English language options are the BBC (712) 432-5335 and the UN (712) 432-9910 and Deutsche Welle (712) 432-2950. SermonAudio.com: Sermon Audio has over 1.5 million Christian sermons online. Listen Line number: 712-432-4200. Click here for more details.